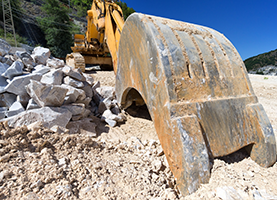 Demolition is our business here at CEM-J Enterprises LLC, and we always do our best to satisfy your needs in a courteous manner and reasonable prices. 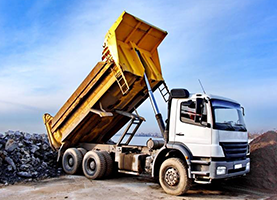 CEM-J Enterprises LLC provides reasonably priced and highly efficient dump truck services in Tyler, TX. We have the only dirt pit on the East side of Tyler, TX! No job is too small for CEM-J Enterprises LLC, the highest rated contracting and demolition services in the Tyler, TX area. With passion, experience, dedication, and warmth, our company will treat you like royalty whether you are old or new to our business family. We are passionate about providing the best possible care for members of this community that we love so much. With us, you can be sure that you will receive quick, efficient, and excellent service. If you need someone to get down and dirty on your property, moving pipes, dirt, or anything else, we have you covered! 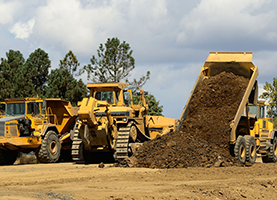 With excavation, dirt filling, and earth moving services, we have something that will meet any consumer’s needs. Let us meet with you today in order to work out the logistics of working on your property. Demolition services can be nerve-wracking, risky, and inconvenient when left under the watch of an incompetent or irresponsible company. At CEM-J Enterprises LLC, we plan with other members of our industry, as well as others in our community, to get a full grasp of the qualities of your property. This way, we can know exactly what problems we might encounter and plan for them accordingly. We understand that such services can become expensive and time-consuming, and we understand how much of a necessity they can be for both individuals and companies alike. Considering this, we guarantee competitive prices that will be a much better value than any of our competitors offer in the Tyler, TX area.